Peterborough United’s London Road stadium is to be renamed after the club signed a new sponsorship deal. The ground will be renamed the Weston Homes Stadium from Saturday, June 1 after the developers and Posh signed a £2 million, 10 year deal. This is the second time the club has changed the name of its stadium since forming in 1934 after signing a five year, £500,000 deal with Norwegian-owned company ABAX in 2014. Weston Homes is currently building more than 350 apartments at the Fletton Quays development which is next to the ground. The housebuilders also signed a five year deal with Posh in May 2018 to become the title sponsors of the club’s London Road Stand. Under the latest agreement Weston Homes has also acquired promotion rights for the ground. The multi-million pound deal will be paid in instalments. 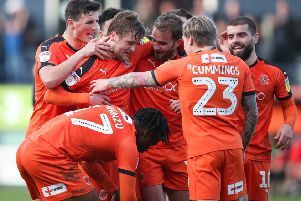 Peterborough United commercial manager Alex Harris said: “This is the biggest sponsorship deal in the club’s history, delivering a great deal for the club, the city and our supporters. “Weston Homes is a long established housebuilder in Peterborough and a major investor in the city so we are delighted that the grounds will gain the Weston brand name. Posh are currently in negotiations to buy back the stadium from Peterborough City Council, with a deal expected to be signed off before the start of next season in August. The club is also considering whether to build a new stadium elsewhere in the city in the future. The current ground was originally known as the London Road Stadium, with the name changing in 2014 to the ABAX Stadium. Football has been played on the site since the 1890s. The ground was opened in 1934 and the modern stadium has a capacity for 15,314 people. Weston Homes has its head offices in central London and Stansted. It is currently developing a £3 billion portfolio of 7,500 homes across London and the South East. The company’s chief executive Bob Weston said: “We are proud to be elevating our partnership with Peterborough United to a high level and the stadium taking our brand name. “Over the last 12 months we have worked with the club and been impressed by the way the club is run, the loyalty of the fans and the deep links between the club and the city. ABAX will remain as a partner and Kevin Bull, country director, said: “We’ve had a great five years being the club’s naming rights partner. We’re happy that another company has decided to take on the opportunity.